Was there a more tear-inducing moment in football in 2016 than when Luke Beveridge handed his Jock McHale medal to Bob Murphy, who had captained the Western Bulldogs to grand final victory but was unable to play due to injury? Footscray fan or no, there wasn't a dry eye in Melbourne when the Dogs ended their 62-year premiership drought with Murphy on the sidelines. 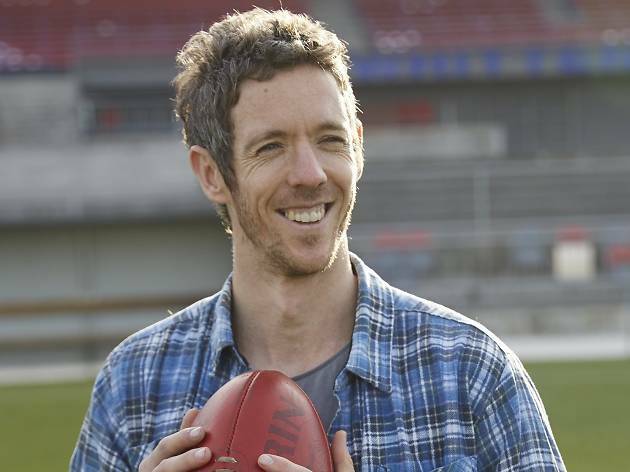 Beloved western Melbourne son Bob Murphy has written a memoir about his 17-year sporting career, called Leather Soul. He's coming to Melbourne Writers Festival to talk about the memoir and the people, places and events that shaped him with Bulldogs superfan Wil Anderson. There will be limited seating but plenty of standing room at this event.